First published in 2009. 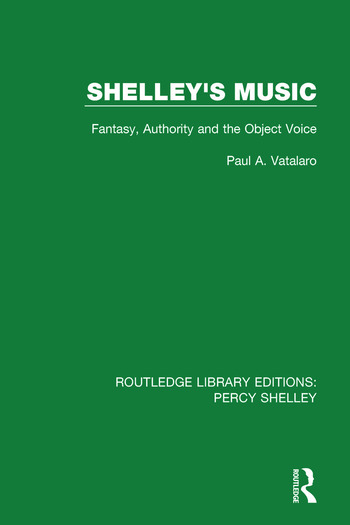 This book argues that the images of and allusions to music in Shelley’s writing demonstrate his attempt to infuse the traditionally masculine word with the traditionally feminine voice and music. This further extends to his even more fundamental desire to integrate the "object voice" with his own subjectivity. For Shelley, what plagues this integration is the prospect of losing both the poet’s authority and the subjectivity upon which it relies. This book asserts that the resultant deadlock and instability paradoxically becomes Shelley’s ultimate goal — creating a steady state of suspension that finally preserves both his authority and his humanity.